Plants in the Logania genus (part of the Loganiaceae family) are little known outside botanical cycles, despite being relatively common and widespread throughout the country, especially in Western Australia that has 19 species, 16 of which are endemic to the state. 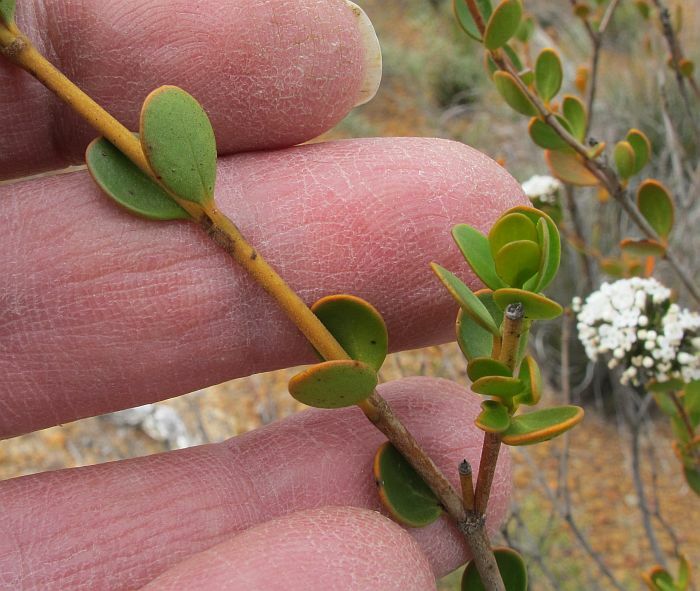 Overall there are 35 species spread throughout Australia (except Tasmania), plus NZ and New Caledonia (FloraBase, WA Herbarium). Logania buxifolia is a WA endemic and characterised by the small (around 1 cm or 3/8” in length) oval leaves, which resemble those of Box Trees (commonly used for close clipped hedges, etc.) 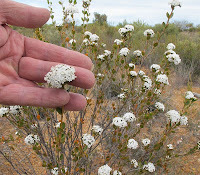 and from whence its botanical name originates. 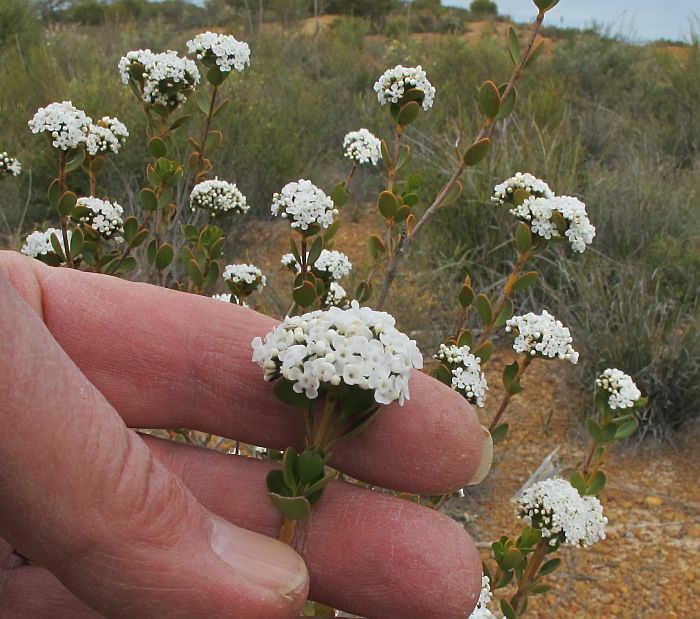 Logania buxifolia is mostly found from Albany to the western edge of the Nullarbor, where usually encountered in small-localised colonies. 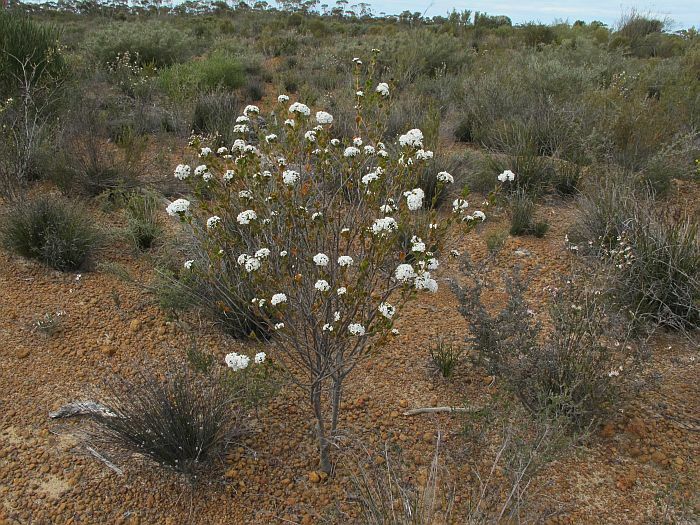 Locally, this species favours non-calcareous sandy soils over gravel, or on gravel alone, both habitats strongly favoured for farming and road construction and both probably impacting on this species population and distribution. 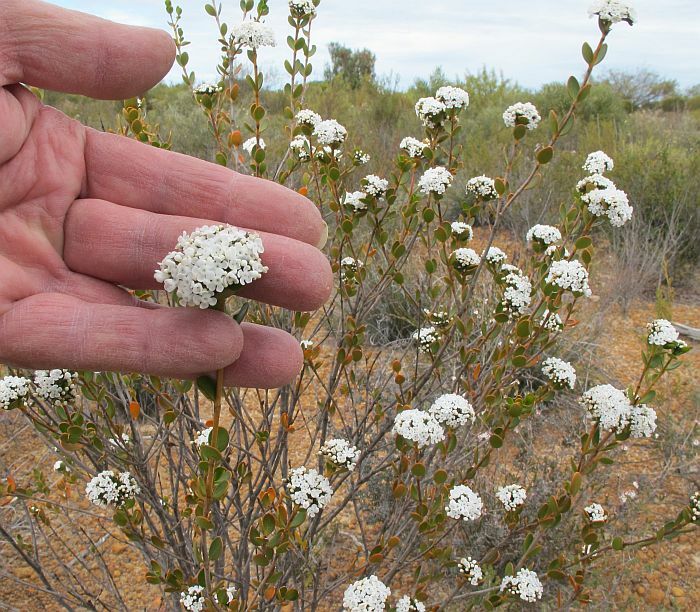 It grows primarily to around a metre (3’) in height, but can exceed this on occasion in sheltered locations amongst taller shrubs. 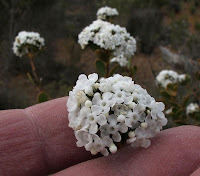 The white flowers although small, are numerous and tightly bunched (3 cm 11/4” diameter) at the summit of branches to produce ornamental displays. 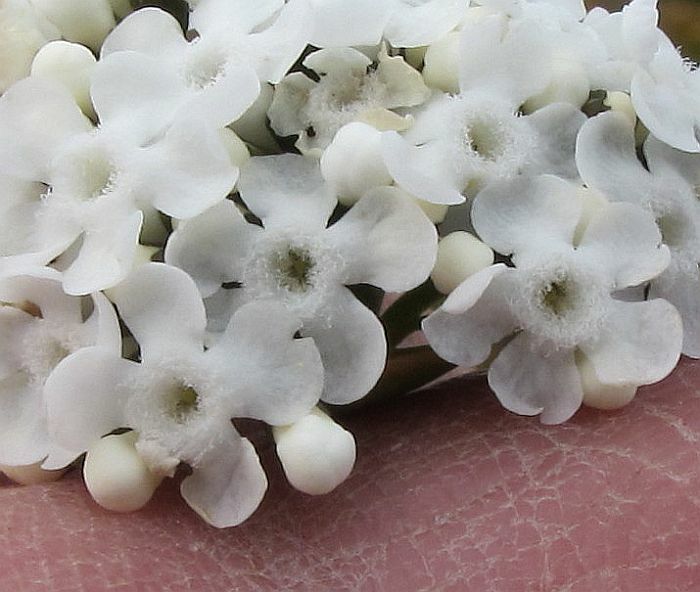 The flowers are waxy, not unlike Chamelaucium spp. 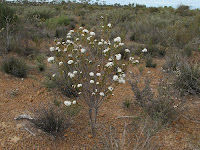 (Esperance Wax, Geraldton Wax, etc. ), therefore preserving their floral structure and condition for lengthy periods. This and other Logania spp. are strongly influenced by seasonal rainfall as to when they flower, so can be found fully or partially in bloom at almost anytime of the year, but with this species, late winter and throughout spring would be their usual period.